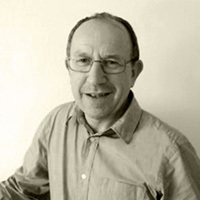 Nigel has over 26 years’ experience in manufacturing in roles spanning production engineering, production management, product management, sales and marketing and general management. He moved into business support with Business Link for London, where he was Sector Development Specialist for Engineering, offering sales and marketing and product innovation support to small manufacturers. He joined EEF as a Manufacturing Specialist on the London Manufacturing Advisory Service team in 2006 and is currently working as an independent mentor, coach and manufacturing specialist. Nigel is a graduate of Imperial College of Science and Technology and is a Chartered Engineer. He has worked extensively in the fashion sector with small and medium sized enterprises (SMEs). This work has included projects with designers, Cut Make Trim (CMT) units, and sampling units. Nigel has been a big supporter of Fashion Capital for several years. He was involved in the original development of the ‘Manufacturers Online Showroom’ directory of manufacturers on Fashion Capital in 2007 and helped Fashion Capital to grow the site to its current size. Visit ‘Masterclasses‘ to view the next installment from Nigel.